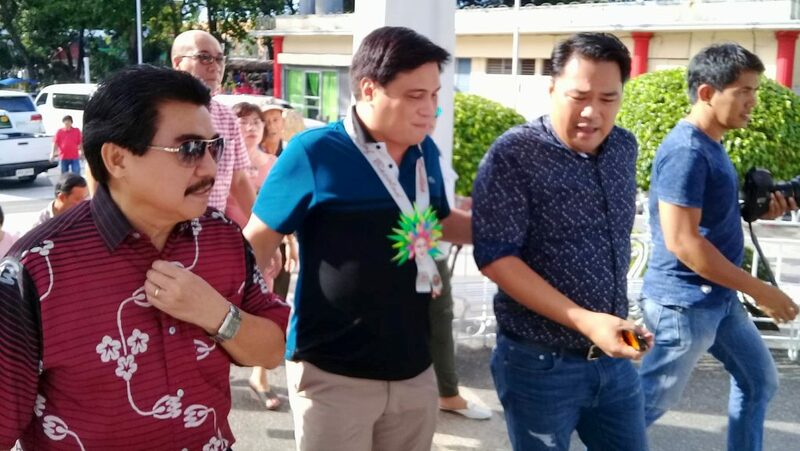 During the “lights on” ceremony for the newly-rehabilitated Bacolod Public Plaza over the weekend, Senator Juan Miguel Zubiri said a majority of senators want the upcoming May 14 barangay and Sangguniang Kabataan (SK) elections to proceed. “The general sentiment of the senate is to push through,” he affirmed; noting, senators have yet to find a “compelling reason” to postpone the polls. The senator also recommended barangay captains “start campaigning,” reiterating comments earlier made by Senator Cynthia Villar, who said three days is too short a period of time to pass any legislation. Earlier, Surigao del Sur second district Rep. Johnny Pimentel filed House Bill No. 7072, which seeks to postpone the said polls until October of this year. Pimentel explained, given coordination costs and expenses associated with organizing elections, the Commission on Elections (Comelec) and other involved agencies need additional time to ensure credible and effective barangay elections. Pimentel’s house bill was already approved during its second reading this week. Meanwhile, Oriental Mindoro second district Rep. Reynaldo Umali filed a similar bill, however, his proposal would postpone polls until, at least, May 2019.